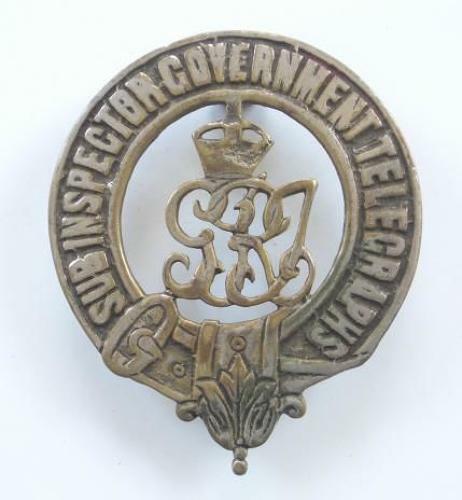 Sub Inspector Government Telegraphs George V period badge. A good silvered cast brass example on loops. Crowned GRI cypher within title strap. Some service wear.